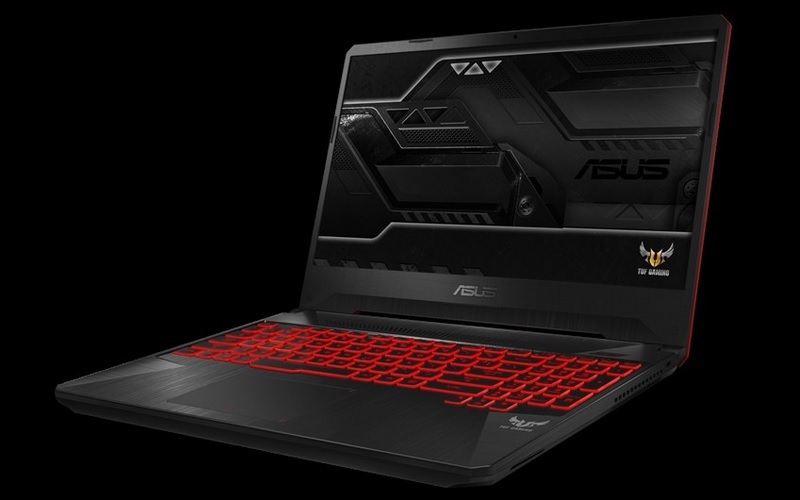 Asus has today launched a trio of new devices which include the TUF FX505 and the TUF FX705 gaming laptops, alongside the TUF FX10CP desktop targeted at PC gamers. The new TUF series laptops succeed the TUF 504 and bring some notable hardware upgrades. The new TUF series laptops flaunt an aggressively-designed chassis, a highly durable build, a 144Hz display, and RGB backlit keyboard to appeal to PC gamers. 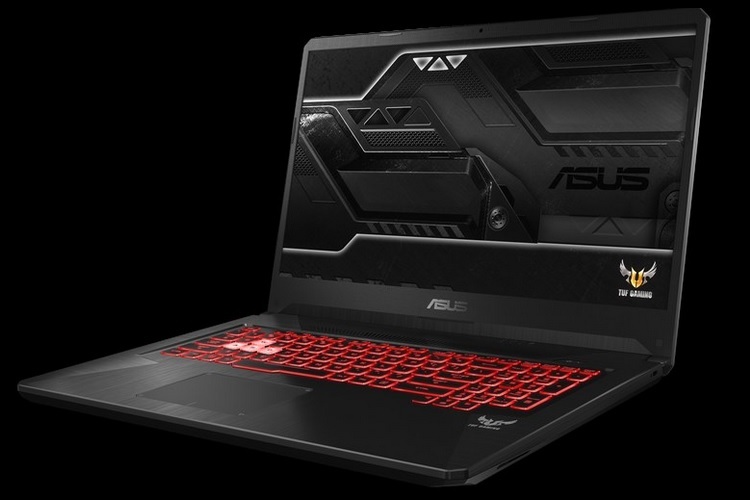 Asus claims that the new laptops have a solid build which has passed a series of military-grade MIL-STD-810G tests to make sure that their performance remains unaffected during harsh conditions. 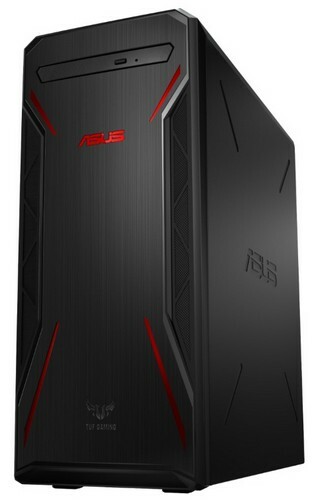 The Asus TUF FX505 features a 15.6-inch Full HD IPS anti-glare display with a 60Hz refresh rate and 6.5mm Nano Edge bezels which is capable of reproducing 100% of sRGB color gamut, however, Asus will also offer a variant with a 144Hz panel. The device has an RGB-backlit keyboard which is backed by the TUF Aura Core panel to control backlighting across different zones of the keyboard. Under the hood, the TUF FX505 can be configured with up to an 8th Gen Intel Core i7-8750H processor, paired with a maximum 32GB of RAM and up to 1TB of SATA HDD or 512GB PCIe SSD storage. In the graphics department, one can choose from an NVIDIA GeForce GTX 1050, 1050Ti or a GTX 1060 GPU with up to 6GB of graphics memory. The TUF FX705 can be configured with up to an 8th Gen Intel Core i7-8750H processor paired with up to 32GB of RAM and 1TB FireCuda SSHD storage which is claimed to be 2x faster than conventional HDDs. Buyers can also opt for SSD storage ranging from 128GB to 512GB 3rd Gen PCIe SSD storage. 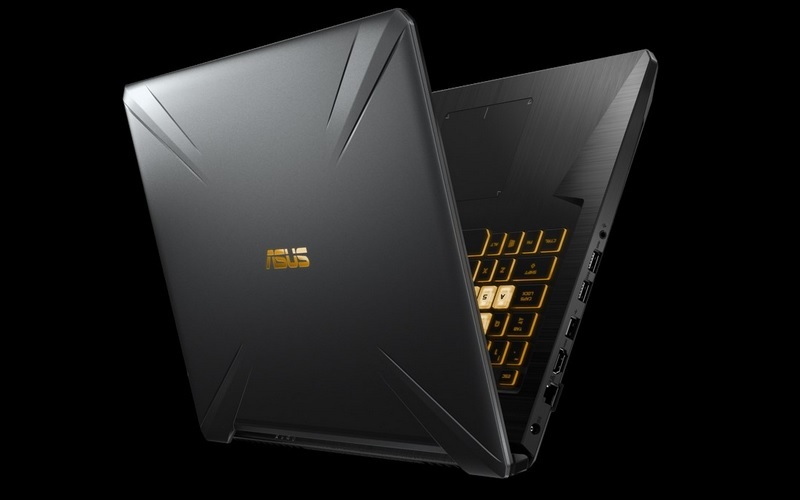 Graphics options include NVIDIA GeForce GTX 1050, 1050Ti or a GTX 1060 GPU with a maximum 6GB of GDDR5 graphics memory. The TUF FX10CP desktop can be configured with an 8th Gen Intel Core i5-8400 or a Core i7-8700 processor coupled with up to 16GB of DDR4 RAM, 1TB of HDD/512GB of SSD storage and up to an NVIDIA GeForce GTX 1050 GPU. The TUF FX10CP desktop carries a price tag of Rs. 91,990 and will be available through authorized retail stores across the country. The TUF FX505 is available in Gold Steel, Red Matter and Red Fusion color options and starts at Rs. 79,990. The TUF FX705 comes in Gold Steel and Red Matter color options and starts at Rs. 1,24,990. As for availability, both the devices will be available from authorized retail outlets and e-commerce platforms.